Mix all ingredients together. Cover bowl, let set for 10 min. Drop by teaspoon on parchment lined cookie sheet. Store in air tight container in the refrigerater. In another bowl, combine cinnamon, oats and flour. Add the egg mixture and mix until well-blended. Add water a spoonful at a time if dough is too dry. Press into muffin tin. The dough won't rise very much, so you can fill them all the way without fear of overflow. Bake for 20-25 minutes. Let cool completely on wire rack. Whip together both ingredients until light and fluffy. Spoon frosting into pastry bag and pipe onto pupcakes, or spread with a knife. Store extra cupcakes in refrigerator, and let come to room temperature before feeding to pups. 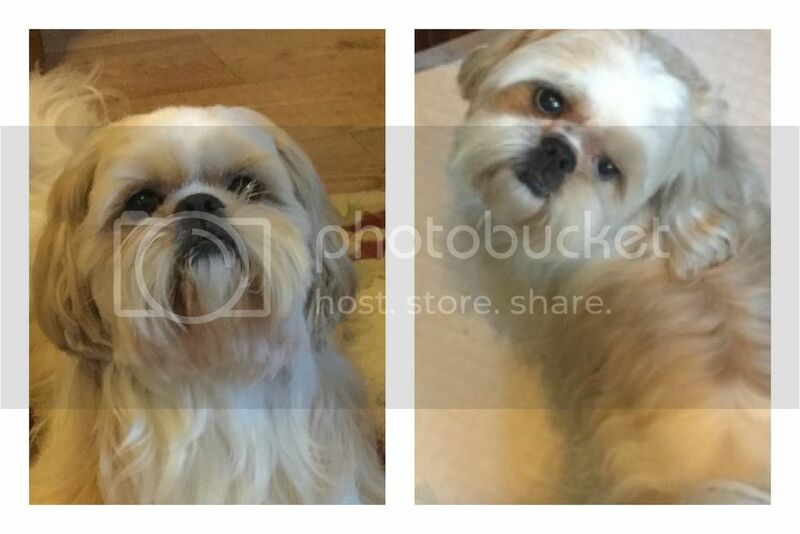 I wanted to add another Shih Tzu to my home and a companion to my male last year. My husband found a ad and sight unseen we went to have a look. She was the same age as my male but was very skinny, left outdoors all the time and in a state of neglect. Not at all what I was looking for but my heart broke seeing her in that household. So last Christmas I adopted her and brought her home. First a vet visit for a check up and arrange spaying. 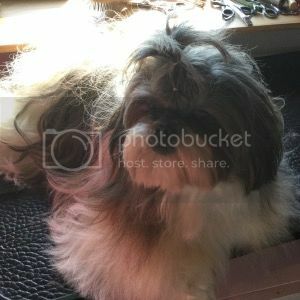 She was underweight, ear infection, one ear canal impacted with dirt and hair in patches looked like it was dryer lint. With the paper wok that came with her we searched it back in her short year of life that she was bred in a puppy mill (which still happens to be running). Sold to a puppy store, bought and passed onto another woman who didn't want her then onto the last woman were we found her. She was on the cheapest dog food and chews that are commonly bought in discount stores. I put her on home cooking, groomed her with the very best shampoo and conditioners. After three months she shed out her old trash hair, new growth was silky and shines. She gained weight and my little junk yard dog has now blossomed into a beautiful healthy baby. There is no substitution for quality food. Cheap dog food needs to stay where you found it...On the shelf! Don't buy cheap food. When I can figure out how to post pictures I will show you my sweet little girl. 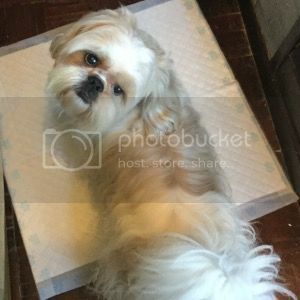 I have self taught myself to groom my two Shih Tzu's and made several video's to help out others on a Shih Tzu site that I am a member of. Asking permission first to post them here if it's ok? So happy to have found your site. Very useful information. 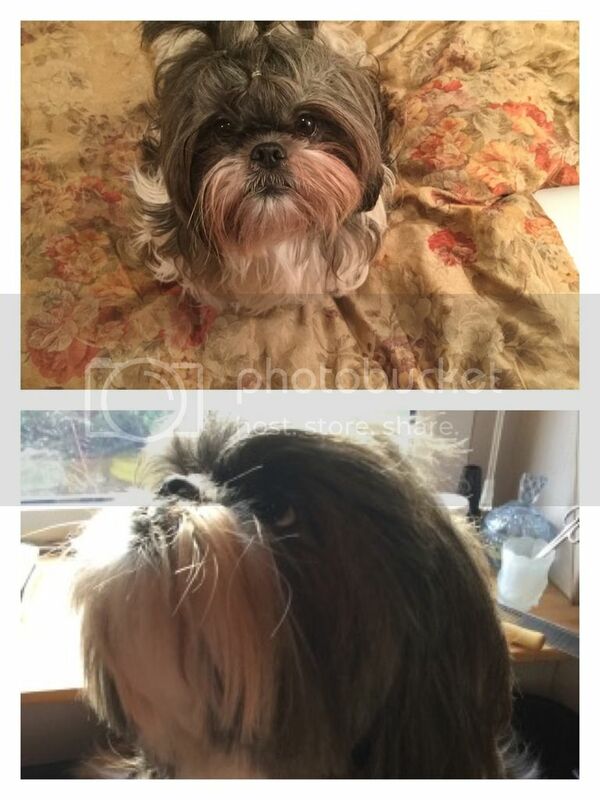 I own two Shih Tzu's, both 1 1/2 yrs old. My male is a allergic and sensitive dog and by trial and error found the foods he's allergic to and how to care for his skin so he isn't so itchy. He also is prone to tear staining and red dye yeast....which I've just got cleared up. They both eat home cooked and after worrying they may not be getting all the vitamins ....I just received my first bag of Lily's Kitchen Chicken & Duck. He also is very finicky about his food and what he likes this week, he won't touch next week. While they were being baby sat at their Uncles they loved LK which was in their dogs bowl... so I'm trying a bag and the breakfast crunch. Won't be the first time I've tried a new food...if it doesn't work out, it too will go to the bin. Fingers Crossed.